Endoscopic ultrasound (EUS) has been increasingly used worldwide over the last 3 decades. More than 12 000 articles were identified when the phrase “endoscopic ultrasound” was used to search for articles from PubMed website. A recent systematic review by Fusaroli et al. explored EUS-related studies published in the last decade, and the results showed that less than 10% of studies were randomized controlled trials, prospective controlled trials, or meta-analyses. The authors suggested that more studies involving therapeutic or interventional EUS are needed. In addition, the same group performed another systematic review focusing only on pancreaticobiliary EUS; they suggested that more EUS imaging technologies along with biochemical and molecular cystic fluid analysis should be studied in order to improve the utility of EUS for the diagnosis of pancreaticobiliary diseases. As part of the Asian Pacific Digestive Week (APDW) 2012 in Bangkok, Thailand, an EUS forum took place on December 8, 2012. Experts in EUS from around the world made presentations on an array of topics. An evidence- based discussion focused on the current state of the art of EUS technique and its application to the diagnosis and management of an array of pathologies. The forum content is not specific to the Asia-pacific region but is globally relevant. Forum participants agreed to summarize their presentations and subsequent discussion as detailed below. Sub-Epithelial Lesions: What Matters-Size, Echogenicity or FNA? A 46-year-old male patient presented with the incidental finding on magnetic resonance imaging (MRI) of a 3-cm lobulated mass with central necrosis, seen in the second to third part of the duodenum. The patient had no significant medical history or family history. Physical examination was unremarkable. Endoscopy and EUS was scheduled for an evaluation of the lesion. Endoscopically, a sub-epithelial peri-ampullary mass was identified. The major papillary orifice appearance was unremarkable as shown in [Figure 1]. Endosonographically, a heterogeneous hypoechoic well-defined mass measuring 19 mm x 19 mm in maximal diameter was identified [Figure 2]. The mass originated from the 4th layer of the duodenal wall. The most likely endosonographic diagnosis was a gastrointestinal stromal tumor (GIST) of the duodenum. 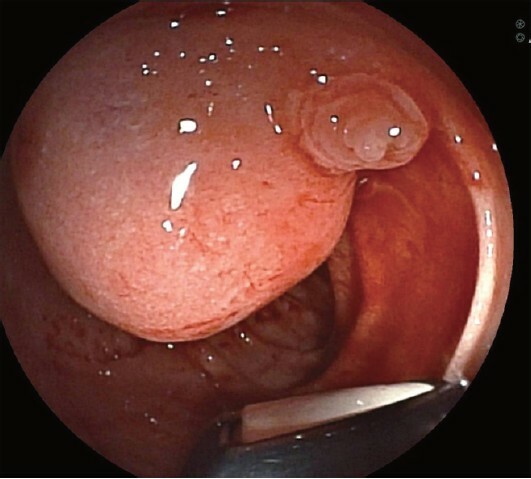 Figure 1: Endoscopy demonstrated a sub-epithelial periampullary mass with unremarkable major papillary orifice. 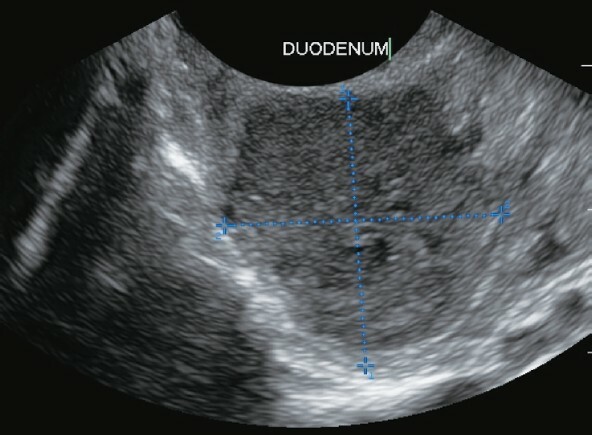 Figure 2: Endoscopic ultrasound demonstrated a heterogeneous hypoechoic well-defined boarder mass measuring 19 mm × 19 mm in diameter originating from the 4th layer of the duodenum. The management of a sub-epithelial lesion (SEL) is dependent on the diagnosis. The key differentiation is between benign and malignant/pre-malignant lesions. Benign lesions may be left in situ and monitored, whereas malignant/pre-malignant lesions should be considered for resection in operative candidates. EUS is the optimal modality for delineating gastrointestinal wall layers and therefore represents the diagnostic test of choice for the evaluation of SELs. The following expert discussion will cover the essential role of endoscopy and surgery in the management of SELs. EUS has revolutionized the practice of gastrointestinal (GI) endoscopy. A lesion or a structure can be classified by EUS into various echogenicity patterns, including an-echogenicity, hypo-echogenicity, iso-echogenicity as well as hyper-echogenicity. We are also able to differentiate very clearly the various layers (at least 5 layers) of the GI wall using EUS. As such, we are able to determine the echogenicity of a subepithelial lesion as well as the layer of the GI wall it arises from. A hyperechoic lesion that arises from the submucosal layer is classically a benign lipoma and no further intervention is required most of the time. The difficulty lies with a hypoechoic lesion as there are several possible differential diagnoses. The following article details a suggested approach to these lesions. EUS has unique capabilities to assess SELs of the GI wall. In some cases, a clear diagnosis can be made, but not infrequently, EUS appearances are inaccurate. EUS-guided sampling techniques may improve the diagnostic yield, but are not perfect. Finally, the prognostic implications of EUS findings are often unclear, so that optimal management strategies for lesions that are not clearly aggressive have yet to be defined. This section paper proposes a sequential, 6-step, question-based approach to EUS for SELs. Question 1: Is the lesion part of the GI wall or not? If not, then the lesion can be considered an external compression. Question 2: Is the lesion hypoechoic or not? If not hypoechoic, then the diagnosis of a lipoma is highly likely. Question 3: Is the lesion mucosal or not? If the lesion is mucosal (i.e. superficial), then the diagnosis can be obtained by traditional endoscopic mucosal biopsy techniques. The most likely diagnoses are inflammatory folds or adenomatous polyps. Question 4: Is the lesion submucosal, but endoscopically resectable? Is it small enough to remove endoscopically, not vascular (Doppler negative), and is it free from the 4th] layer (muscularis propria)? If so, then endoscopic mucosal resection (EMR) of the entire lesion can provide the most certain diagnosis and treatment. The most common lesions can include: pancreatic rest, carcinoid, granular cell tumor, GIST, leimoyoma, etc). Question 5: Should the lesion be sampled or not? If the lesion cannot be biopsied or removed endoscopically, then an attempt at EUS-guided sampling is warranted if it will clearly change management. Most of these lesions will be in the 4th] layer (muscularis propria). If in the stomach or duodenum, the most likely diagnosis is GIST; in the cardia or esophagus, it is leiomyoma. Many types of needles and techniques are possible, and there is no clear winner. So you should use what works best for you. In general, the yield is better in lesions that have signs of aggressive behavior (large size, inhomogeneity); but in these lesions, the sampling results will not likely change the decision to operate. In all cases, care should be taken to avoid traversing the lesion since this could lead to tumor seeding in the case of malignancies such as GISTs. Question 6: Should the lesion be removed, watched, or ignored? Lesions that are symptomatic or have signs of potentially aggressive behavior (large size, inhomogeneity, nodes) should probably be removed regardless of biopsy results. Small (<2 cm), hypoechoic, solid, the 4th] layer lesions (or the 3rd] layer lesions that cannot be removed by EMR) should probably also be removed if biopsy proves presence of a GIST (c-Kit positive). However, it is often difficult to obtain adequate tissue for analysis from such small lesions. There is no clear best strategy for biopsy negative, asymptomatic, small lesions. In the stomach and duodenum, most of these are likely GISTs. At the cardia and esophagus, they are mostly leiomyomas. Regardless, the great majority will never progress, so watching these lesions by follow-up EUS appears to be somewhat futile and there are no randomized trials showing that this strategy improves outcomes. Therefore, one possible strategy is to ignore such lesions in elderly patients or poor surgical candidates. In younger patients, laparoscopic removal can be offered to end the problem by confirming diagnosis and curative treatment. For younger patients who refuse surgery, the value of follow-up EUS still appears questionable, so the choice to offer this strategy comes down to personal opinions. In summary, hopefully this 6-step, question-based approach can simplify the management of submucosal tumors (SMTs). However, further work on the optimal management strategy for small, hypoechoic, biopsy negative and the 4th] layer lesions is sorely needed. Laparoscopic surgery is increasingly used in gastric procedures for GIST. The technique was first applied in 1999, and involved lesion-lifting partial gastrectomy. Laparoscopic wedge resection for SMTs is safe and feasible as a treatment in the hands of an experienced laparoscopic surgeon. Extragastric approaches using the endoscopic stapler or handsewn closure as well as transgastric approaches, were used in these laparoscopic wedge procedures. A resection approach tailored for the tumor location is recommended., Excessive gastric resection may result in postoperative transformation of the stomach, with consequent gastric stasis, and the approaches listed in the proceeding paragraphs are far from the standardized procedure for the laparoscopic wedge resection of gastric SMTs. Endoscopic resection (ER) is accepted as a less invasive local resection for early gastric cancer (EGC) that carries a negligible risk of lymph node metastasis. In particular, endoscopic submucosal dissection (ESD) is gaining momentum as a new procedure for the endoscopic treatment of EGC in order to remove the tumor en bloc. However, use of an ESD technique for the resection of intraluminal gastric SMTs has resulted in a high morbidity because of a higher risk of massive bleeding and/or perforation. ESD procedure is indicated for submucosal but not it is right dissection because of poor bleeding control during treatment of the muscle layer. The newly developed laparoscopic and endoscopic cooperative surgery (LECS) technique for dissection of gastric SMTs can be performed regardless of tumor location. The LECS procedure involves seromuscular resection by laparoscopy with endoscopic dissection for the mucosal to submucosal layers. The exact resection margin is endoscopically planned from the gastric lumen, and the submucosal layer dissection is performed by ESD as shown in [Figure 3]. LECS for the wedge resection of gastric SMTs, including GIST, may be performed safely, with reasonable operation time, reduced bleeding, and adequate resection margins independent of tumor sites. The LECS technique therefore provides an alternative to the standard gastric wedge resection procedure with minimal transformation of the stomach. Figure 3: A practical approach for management of SMTs. SMTs: submucosal tumors; GIST: gastrointestinal stromal tumor; EUS: endoscopic ultrasound; CT: computed tomography; FNAB: fine needle aspiration biopsy; ESD: endoscopic submucosal dissection. Figure 4: The technique of laparoscopic and endoscopic co-operative surgery (LECS). In conclusion, laparoscopic wedge resection is the treatment of choice for most of the sub-epithelial gastric lesions. Combined endoscopic and laparoscopic intra-gastric tumor removal is effective for lesions located next to the esophago-gastric junction. SELs will continue to be a diagnostic dilemma for endosonographers. Pitfalls exist with simple algorithms which specify observation for lesions less than 2 cm in diameter, and resection for those greater than 4 cm, with case reports of malignancy in lesions less than 2 cm. EUS helps in assessing the echopattern and size of the lesion. Fine needle aspiration (FNA) would be considered the obvious next-step but tissue acquisition is rarely adequate especially in small lesions. The technique for sampling has not been standardized yet. The technique of endoscopic removal with laparoscopic assistance is exciting, and logically would be the procedure of choice in selected patients. However, it is clear that these procedures demand a high level of skill from the endoscopists and surgeons and should be limited to tertiary units. A 74-year-old female patient was referred for evaluation of a cystic lesion incidentally found in the head of the pancreas following MRI. There was neither past history of acute pancreatitis nor other significant medical history. Importantly, there was no history of significant alcohol consumption. Physical examination was unremarkable. 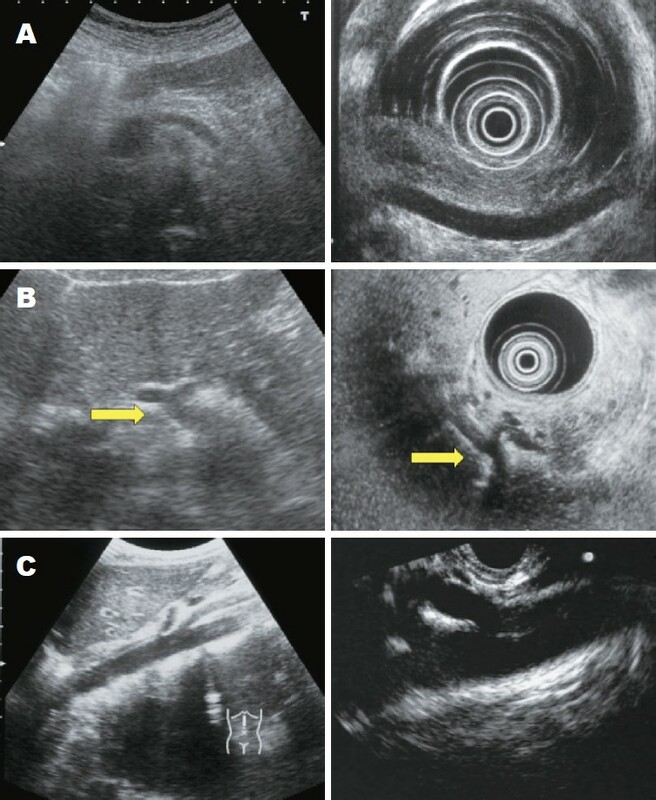 EUS was undertaken, and demonstrated a multi-locular pancreatic cyst with macrocystic appearance as shown in [Figure 5]. No mural nodule and no solid mass component were identified. EUS-FNA was performed. The cystic fluid was thin and clear. Cystic fluid carcinoembryonic antigen (CEA) and amylase levels were 4.38 ng/mL and 151 U/L, respectively. Figure 5: A multi-locular pancreatic cyst with microcystic appearance at head of pancreas. Incidental pancreatic cysts have been increasingly detected in recent decades as access to abdominal imaging has increased. Pancreatic cystic lesions may be either benign or malignant. Serous cystic neoplasms (SCN) and small branch duct type- intraductal papillary mucinous neoplasms (BD- IPMN) may be monitored with follow-up imaging whereas resection of other lesions, with malignant potential, should be considered. It remains difficult to make a definitive diagnosis of a pancreatic cystic lesion with non-invasive tests, including imaging modalities, serum tumor marker concentration and cyst fluid analysis (cytology, CEA level). As a result, the management of pancreatic cystic lesions constitutes an ongoing significant challenge. The following discussion by experts will guide readers through a practical approach to manage cystic lesions of the pancreas. Pancreatic cystic neoplasms (PCNs) have been increasingly recognized in clinical practice due to widespread use of cross-sectional imaging for unrelated abdominal symptoms. Pseudocysts are the most common cystic lesions of the pancreas while PCNs account for only 10%. Among the PCNs, SCN, mucinous cystic neoplasms (MCNs), and IPMNs account for 90%. PCNs are divided into non-mucin and mucin producing tumors. Nonmucinous lesions are mostly SCN which are almost always benign. Mucinous lesions include MCNs and IPMNs which can be premalignant or malignant. [Table 1] below summarizes the diagnostic criteria for mucinous versus nonmucinous PCNs. It also differentiates the relative malignant risk based on the mucinous composition of the cyst. Because of wide variation, the radiographic and endosonographic imaging features may not be diagnostic. Based on the diagnostic criteria provided (female gender, microcystic appearance, low-normal CEA, low amylase), the patient presented above most likely harbors a SCN. The management of incidentally discovered pancreatic cystic lesions (PCLs) remains a challenge due to the difficulty in cyst characterization and the unclear natural history of these lesions. EUS-FNA for cyst fluid analysis can be helpful in the management of these lesions and EUS guided Trucut biopsy (TCB) with sampling of a core of tissue from cyst wall and supportive stroma may provide additional information. The vast majority of asymptomatic pancreatic cysts without concerning clinical, imaging and endosonographic features could be followed safely without surgery. In many circumstances, selected use of EUS-FNA with cytology and fluid measurement can further provide evidence to support the approach of watchful waiting. A cost-effectiveness analysis of different strategies of management of asymptomatic PCNs suggests that EUS-FNA with cyst fluid analysis (CFA) for risk stratification and mucinous lesions be considered for resection has highest quality-adjusted life years with an acceptable incremental cost-effectiveness ratio. For those with a mucinous lesion who are poor surgical candidates, EUS-guided cyst ablation with ethanol could be considered as an alternative method. A multicenter, randomized, double-blinded study by DeWitt et al. showed that EUS-guided ethanol lavage decreased pancreatic cyst size more significantly than saline solution lavage, with similar safety profile. A small series also showed that EUS-guided ethanol lavage with paclitaxel injection resulted in resolution of cystic tumors. However, these data required a long-term follow-up outcome. There have been developments of novel methods to aid the diagnosis and differentiation of PCLs in recent years including cyst fluid molecular or proteomic analysis, biomarkers and gene expression profile for mucinous lesions. In addition, in vivo real-time imaging of epithelial lining of a cystic lesion can be performed using confocal laser endomicroscopy probe passed through an EUS-FNA needle. More studies are required to validate the utility of these techniques in routine clinical practice. In summary, the differentiation of PCLs remains a diagnostic dilemma. Newly developed technologies may provide additional benefits in management of these patients. The current data suggest that patients without concerning clinical and imaging findings could be closely monitored with serial examinations and imaging to exclude change in size and development of worrisome features. Those with suspected mucinous lesions should be considered for surgery. However, a decision regarding the patient's willingness to observe or to remove the lesion should be developed in collaboration with a pancreatic surgeon. When encountering a patient with incidental cystic lesion of the pancreas, several points need to be taken into account in considering the best management for each individual patient. These include the type of the lesion, the natural history of the lesion, life expectancy of the patient, and risk of surgery. With advancements in imaging and EUS- FNA with CFA, the nature of most pancreatic cystic lesions can be elucidated. Once the type of lesion is known, its natural history may be forecasted although the timing for malignant transformation cannot be predicted with certainty. In the case of SCN, which do not have malignant potential, no further treatment is required. For other types of cystic lesions such as MCN, IPMN, solid pseudopapillary neoplasm, or neuroendocrine tumor, surgical removal should be considered because they all have malignant potential. In a small proportion of patients, however, the diagnosis cannot be made preoperatively. A report of 166 pooled patients from 5 high-volume pancreas centers showed the majority of cystic lesions of the pancreas were IPMN, SCN and MCN. The incidence of cancer in asymptomatic patients with no radiologic or EUS stigmata in this report was about 3%, about the same as the postoperative mortality. Apart from mortality, pancreatic head resection has a high postoperative morbidity, 30%-50% in most series. These complications include wound infection, intra-abdominal collection, pancreatic fistula and post-pancreatectomy hemorrhage. Some of these complications can be very morbid, and may even be fatal. Late post-operative pancreatic endocrine and exocrine insufficiency is seen in 18% and 33% respectively after pancreatic head resection. The incidence of both short- and long-term complications is lower after distal pancreatectomy. The location of the cyst should therefore be taken into account in balancing the risk versus benefit of surgery. Weinberg, et al. used decision analysis with Markov modeling to compare competing management strategies in a patient with a pancreatic head cyst, diagnosed pre-operatively as branch-duct IPMN. The strategies included initial pancreaticoduodenectomy (PD), yearly non-invasive radiographic surveillance, yearly invasive surveillance with endoscopic ultrasound, and doing nothing. They found that initial PD had the longest overall survival in cysts 2 cm or larger in all age groups. But the “do nothing” group offered the highest quality adjusted life year except for large cystic lesions in patients younger than 75 years old. These findings suggest that the approach to a patient with a cystic lesion at the pancreatic head has to be individualized. For an indeterminate lesion in an asymptomatic patient with no radiologic or EUS evidence suggestive of malignancy, the risk of malignancy is very low, lower than the risk of surgery. In this situation, follow-up may be the most appropriate strategy. Cystic lesions of the pancreas are detected more and more with the advancement of imaging modalities. The differential diagnosis and management of pancreatic cystic lesions have become quite burdensome for clinicians because most of these lesions are small, asymptomatic and showing benign nature. With conventional imaging modalities such as ultrasonography, CT or MRI, the location, contour and size of pancreatic cystic lesion can be examined. EUS can detect the presence of septa, mural nodule, number of locules and wall thickness more accurately. By adding EUS-guided cystic fluid examination, we can analyze the level of amylase, lipase, and tumor markers such as CEA or CA19-9. Cytologic examination can also be performed although the yield is low. All these information can be helpful for the differential diagnosis among mucinous cystic tumors, non-mucinous cystic tumors and pseudocysts. Pancreatic pseudocyst can be effectively managed by EUS-guided cystogastrostomy or cystoduodenostomy. Malignant mucinous cystic tumors should be treated by surgical resection if it is resectable. As a novel approach, EUS-guided ethanol lavage with/without paclitaxel injection has been tried for benign PCNs. Preliminary reports showed the safety and feasibility of EUS-guided PCN treatment. Treatment responses varied among studies as previous studies involved small number of patients and short-term follow-up. Our group conducted a series of studies to evaluate the technical feasibility, safety and therapeutic efficacy of EUS-guided PCN ablation. At first, we conducted a pilot study and selected 14 patients with PCNs received EUS- guided ethanol lavage and paclitaxel injection and observed for 6 months. Complete resolution of PCNs was observed in 11 patents and partial resolution in 2 patients. The next study was focused on septated PCNs, and we observed 60% with complete resolution and 20% with partial resolution. Encouraged by these results, we conducted a long-term follow-up study after EUS-guided ethanol lavage and paclitaxel injection of PCNs. Fifty-one patients were enrolled by the following inclusion criteria; 1) uni- or oligolocular cyst, 2) indeterminate tumors for which EUS- FNA was required, and 3) PCNs showing size growth during the observation period. Under EUS-guidance, cyst fluid aspiration, ethanol lavage and injection of paclitaxel were performed. Twenty PCNs were oligolocular. Mean CEA level was 463 ng/mL (1-8190). The median follow-up was 20.6 months. The mean volume of PCNs decreased from 14.09 mL to 3.31 mL. Complete resolution was observed in 28 patients, partial resolution in 6 patients, and persisting cyst in 12 patients. Splenic vein thrombosis as procedure-related complication occurred in 1 patient. EUS-guided ethanol lavage and paclitaxel injection appears to be a safe and effective method for treating PCNs. The incidental pancreatic cyst is one of the commonest indications for performing an EUS examination. The information obtained on cyst size, wall thickness, solid component, and relationship to the pancreatic duct are all valuable details in assessing these lesions. FNA with cyst fluid analysis and finally ablative therapy are all possibilities when performing EUS. However, the initial enthusiasm of endosonographers in defining these cysts has been dampened by studies showing the lack of sensitivity in using these parameters in determining which lesions should be resected, kept on surveillance or ablated. Most incidental cysts will be placed in a surveillance program based on the size of the cyst. Fluid analysis is helpful especially for assessing CEA and mucin content. Close collaboration with the hepatobiliary surgeon is important in surgical candidates. We look forward to more studies defining the utility of the molecular analysis of cyst fluid and also long-term outcomes from EUS-guided cyst ablation. 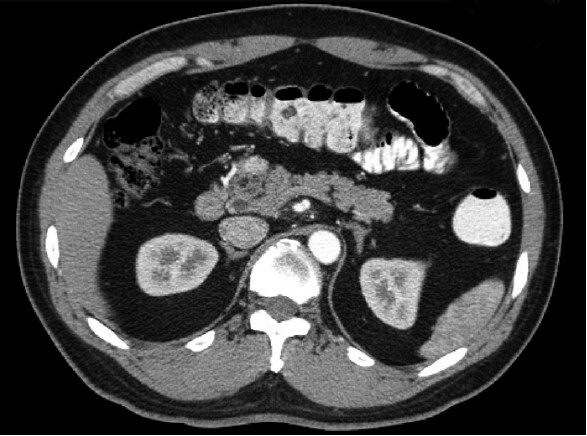 A 52-year-old male patient was referred with an incidental 2-cm mass in the head of pancreas on CT scan as shown in [Figure 6]. There was no significant medical history or history of significant alcohol consumption. MRI showed lesion enhancement typical of a neuroendocrine tumor. Octreotide and positron emission tomography (PET) scan did not show abnormal tracer uptake. EUS was performed and demonstrated a hypo-echoic solid mass in the head of the pancreas. Elastography showed a strain ratio of 0.07. A review of the history revealed that the lesion had been present 7 years previously, There had been no interval change in size. The mass was then diagnosed as a potentially benign neoplasm of the pancreas. Figure 6: EUS-guided treatment of cystic tumor in the head of pancreas. A: CT scan shows about 3.5 cm sized cystic tumor in the head. This lesion was treated by EUS-guided ethanol lavage and paclitaxel injection (070315); B: Follow-up CT scan which was taken 5 months after treatment clearly shows marked size decrease after therapy (070818); C: About 3 years later, CT scan demonstrated complete disappearance of cystic tumor (100617). EUS: endoscopic ultrasound; CT: computed tomography. Pancreatic surgery is associated with a significant postoperative complication rate. Unnecessary surgical removal of a benign pancreatic mass should be avoided. However, progression of an undiagnosed malignant or pre- malignant neoplasm from resectable to unresectable, whilst under surveillance, would be devastating. Therefore, accurate preoperative diagnosis is crucial. EUS plays a key role in the evaluation of pancreatic mass lesions. The following discussion is contributed by experts to guide readers though the practical management of an incidental pancreatic mass. With advancements in imaging technology, the evaluation and management of the patient with suspected pancreatic cancer has changed. Figure 7: A 2-cm mass at head of pancreas was demonstrated by computed tomography scan. Abdominal imaging studies are performed allowing for (a) detection of the tumor, (b) determination of tumor respectability, and (c) tissue acquisition under imaging guidance [Figure 8]A, B. Figure 8: Algorithm for management of pancreatic head mass. A: Diagnosis; B: Treatment. 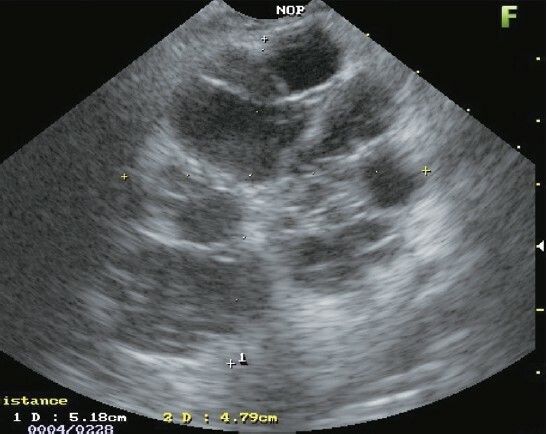 US: ultrasonography; EUS: endoscopic ultrasound; CT: computed tomography; MRI: magnetic resonance imaging; MRCP: magnetic resonance cholangiopancreatography; ERCP: endoscopic retrograde cholangiopancretography; PET: positron emission tomography. Transabdominal ultrasonography. Transabdominal ultrasonography may suggest biliary obstruction by showing biliary ductal dilation. It also may identify liver metastases. However, this imaging modality is operator-dependent and has poor sensitivity for detecting small neoplasms of the pancreatic head. CT. Multidetector CT has shown an improved sensitivity and specificity for detecting pancreatic cancer over conventional CT. It allows for better imaging of tumor extension, liver metastases, and vascular invasion. If the CT findings are highly suggestive of resectable pancreatic cancer, a reasonable approach is to refer the patient directly for surgical resection without further imaging or diagnostic testing. MRI. MRI of the pancreas may include MRI, magnetic resonance cholangiopancreatography (MRCP), and/or magnetic resonance angiography (MRA). Standard abdominal MRI appears to be an accurate modality for staging pancreatic cancer, though it does not appear to be more specific or sensitive than CT.
EUS. If expertise in EUS is available, it should be used as a preoperative staging modality in patients with suspected pancreatic cancer. This is particularly important in patients with equivocal findings on CT. EUS allows identification of vascular invasion as well as sampling of suspicious-appearing lymph nodes, which, if positive, may change the treatment approach as it alters prognosis. EUS appears to be complementary to CT, with EUS better at detecting small masses, staging the portal vein, and detecting lymph node metastases, while CT is superior for staging arterial involvement and distant metastases. An EUS-FNA biopsy specimen allows for a definitive tissue diagnosis of a pancreatic mass. In patients with unresectable cancer, EUS-guided celiac plexus neurolysis has been shown to control disabling abdominal pain. Endoscopic retrograde cholangiopancretography (ERCP). The pathognomonic findings on ERCP of a pancreatic head cancer are strictures of the bile and pancreatic ducts with proximal dilation. While ductal abnormalities are almost invariably present in patients with adenocarcinoma, other imaging modalities (CT, MRI, EUS) have supplanted ERCP in the diagnosis of pancreatic cancer. However, if the patient suffers from cholangitis or severe pruritus, preoperative ERCP with biliary drainage should be performed. If a definitive tissue diagnosis is required for the operative resection or the administration of chemotherapy and/or radiation therapy, tissue acquisition can be performed at the time of ERCP. Palliation of obstructive jaundice can be achieved with ERCP and biliary stent placement. In patients with unresectable pancreatic carcinoma who develop malignant gastric outlet obstruction, endoscopic palliation may be achieved by using self-expandable gastroduodenal stents. Contrast-enhanced endoscopic ultrasonography (CE- EUS) was introduced in the early 1990s. The concept of injecting carbon dioxide microbubbles into the hepatic artery as a contrast material (enhanced ultrasonography) led to “endoscopic ultrasonographic angiography”. After the arrival of the first-generation contrast agent, high-frequency (12 MHz) EUS brought about the enhancement of EUS images in the diagnosis of pancreaticobiliary diseases, upper GI cancer, and SMTs. The electronic scanning endosonoscope with both radial and linear probes enabled the use of high- end ultrasound machines and permitted the enhancement of both color/power Doppler flow-based imaging and harmonic-based imaging using the second-generation contrast agents. Many reports have described its usefulness in the differential diagnosis of pancreatic disease and other abdominal lesions. Quantitative evaluation of CE-EUS images represents an objective method of diagnosis using the time-intensity curve (TIC), but it was limited to the region of interest. Recently developed inflow time mapping (ITM) can be generated from stored image sequences and used to display the pattern of signal enhancement with time after injection, offering temporal difference of contrast agents and improved tumor characterization. On the other hand, 3-dimensional CE-EUS images added new information to the literature, but lacked positional information. Three- dimensional CE-EUS with accurate positional information is awaited. To date, most reports have been related to pancreatic lesions or lymph nodes. Hemodynamic analysis might be of use for diseases in other organs: upper GI cancer, SMTs, and biliary disorders, and it might also provide functional information. Studies of CE-EUS in diseases in many other organs will increase in the near future. Pancreatic ductal adenocarcinoma is a devastating diagnosis, aggravated by the fact that the majority of patients present late with locally advanced or metastatic disease, and that only 10%-20% are candidates for resection. It is associated with the lowest 5-year survival rate of any cancer. Ninety percent of patients die within the first year after diagnosis. Detection of early-stage tumors is important in improving survival. About 70% of pancreatic cancers are found in the head of pancreas, and most patients present with jaundice, weight loss and abdominal pain. Early symptoms such as epigastric bloating and dyspepsia are nonspecific, and hence early diagnosis requires a high index of suspicion. Obstructive jaundice is a more specific sign associated with pancreatic head cancer but is often a late manifestation. The presence of back pain often suggests tumor infiltration of celiac plexus, and thus unresectability. Laparoscopy immediately before laparotomy is of value in the workup of pancreatic cancer with curative surgical intent. The conditions that should trigger pre-operative laparoscopy are 1) larger primary tumor, 2) lesions in the neck, body and tail of pancreas, 3) equivocal radiographic findings such as low-volume ascites, CT findings indicating possible carcinomatosis and small hypodense lesions in liver, and 4) subtle clinical and laboratory findings suggesting more advanced disease such as marked hypoalbuminemia and/or weight loss, significant increases in CA19-9 level and relatively severe pain. Surgical resection offers the only hope of cure for patients with pancreatic cancer. The Whipple operation, or PD, is the mainstay of surgical treatment for pancreatic cancers, most of which occur in the pancreatic head. The Whipple operation has been a classical operation for decades and mortality has dropped dramatically as a result of improved perioperative care and increased experience in tertiary referral centers. The potential for surgical resection to cure pancreatic cancer depends in part on achieving complete (R0) clearance of neoplastic cells. From the 1990s on, an operative mortality rate of less than 5% has become the standard in many experienced centers. Adherence to or encasement of the portal vein or superior mesenteric vein by pancreatic head cancer has been regarded as indicating locally advanced disease with poor outcome and thus a contraindication to resection. A recent study found that tumors adherent to the portal vein or superior mesenteric vein were not associated with more aggressive tumor characteristics, suggesting that venous adherence was a function of tumor location rather than an indicator of aggressive tumor biology. Some Japanese reports showed improved survival but other studies have reported no significant difference in the operative mortality rate or long-term survival between patients who underwent portal vein or superior mesenteric vein resection for isolated tumor involvement and those without venous resection. These studies suggested that isolated portal vein involvement should not be a contraindication for pancreatic resection in patients with pancreatic adenocarcinoma. Hence, resection of the portal vein should be performed if all disease can be encompassed within the resection. Reconstruction of the portal vein and superior mesenteric vein can be accomplished by end-to-end anastomosis in most cases if the segment of portal vein or superior mesenteric vein resected is less than 2 cm. The involvement of arteries such as the celiac, hepatic, or superior mesenteric arteries has commonly been considered a contraindication to resection of locally advanced pancreatic cancer because of the increased operative mortality and disappointing survival. A study of en bloc resection of the hepatic, celiac, or superior mesenteric artery demonstrated the operative mortality was higher with arterial resection (14% vs. 4%). However, survival was similar to that of the control group (14 months vs. 15.8 months). The most common complications of PD are delayed gastric emptying, pancreatic fistula, and wound infections., Pancreaticojejunostomy leakage remains one of the commonest and most dreaded complications after PD, with a leakage rate of 14%-18%.,, The techniques of pancreaticojejunal anastomosis, either end-to-side or end-to- end, and either duct-to-mucosa or dunking, have not been found to have a significant influence on the anastomotic leakage rate. Apart from the immediate postoperative complications, long-term morbidity such as gastric dumping, marginal ulceration and bile-reflux gastritis are also major concerns after PD. The pylorus-preserving pancreaticoduodenectomy (PPPD) is a modification that aims at reducing such morbidity and preserving digestive function. However, there is no definite proof of improved postoperative nutritional status between PPPD and Whipple. Though the surgery is the treatment of choice in pancreatic cancer, the median survival after resection is only 1820 months. The overall 5-year survival is 10% (7%-25%) and up to 50% of those who survive for 5 years may die of recurrent cancer. The factors that predict the disease recurrence and survival rates of disease are resection margin, size of tumor (5-year survival in tumor less than 2 cm is 20% whereas those larger than 3 cm is only 1%), lymph nodes involvement (median survival in negative and positive lymph nodes involvement are 4.5 years and 11 months, respectively) and tumor cellular differentiation (5-year survival in poorly and well-differentiated tumors is 10% and 50%, respectively). There is no jailbreak for unresectable advanced pancreatic carcinoma (PC). Current therapies, however, not only are of limited benefit in most patients, but also usually reduce the quality of life. The high incidence of complications and toxicity limit their usefulness. Although systemic therapy is ultimately needed for cure, an effective locoregional therapy may be beneficial in some patients to improve quality of life and survival time. Two kinds of implants, Iodine-125 radioactive seeds for interstitial brachytherapy and intratumoral polymer for sustained delivery of 5-fluorouracil can deliver mild, long term ablation effects to control the tumor but no severe acute inflammation to cause complications. Both kinds of implants are 0.8 mm thick so that they can pass through the lumen of 19-G EUS-FNA needle easily. Two previous pilot studies on EUS-guided interstitial brachytherapy (EUS-IBT) showed that it could be moderately effective in achieving tumor response and control of abdominal pain for patients with unresectable PC., These results gave us a hint that EUS-IBT may be a good alternative for the control of the abdominal pain in patients with tumor invasion of celiac trunk. In this condition, EUS-guided celiac plexus neurolysis is potentially difficult to perform. Wang et al. reported that EUS-guided direct celiac ganglion irradiation with radioactive seeds can reduce the Visual Analogue Scale (VAS) Pain Score and analgesic drug consumption in patients with unresectable PC. Besides that, an animal study on EUS-guided implantations of chemotherapeutic implants (interstitial chemotherapy) showed that the technology might provide a minimally invasive therapeutic method for PC. Synergism between interstitial chemotherapy and brachytherapy in tumor ablation was also found. This gave rise to the idea that since not all PC cells are sensitive to brachytherapy or chemotherapy, why not use both together as mutual sensitizers? Therefore, EUS was used to guide implantation of radioactive seeds and chemotherapeutic implants simultaneously with a 19-G needle. A pilot study on this procedure, called EUS-guided Interstitial chemoradiation(EUS-ICR), demonstrated the technical feasibility in UICC-T4 PC. Among a total of 8 patients, 1 patient showed a partial tumor response, 2 patients showed minor response and 4 patients experienced clinical benefit. Furthermore, the technique appears to be well tolerated. Therefore, EUS-ICR for unresectable PC appears promising, and should be further evaluated. Achieving an accurate diagnosis of pancreatic head masses remains a significant challenge. Multi-detector CT and MRI/MRCP are appropriate modalities to characterize and stage the lesion. Increasingly, EUS is utilized as an important component of the diagnostic and staging algorithm. EUS (and/or EUS-FNA) is helpful in excluding benign pathologies, in particular chronic pancreatitis and autoimmune pancreatitis. Due to the morbidity and mortality associated with pancreatic resection, in particular pancreaticoduodenectomy, surgery for benign disease must be minimized. Advances in EUS technology including elastography have added to high resolution grey-scale imaging and color Doppler for the detection and characterization of pancreatic masses. CE-EUS is also increasingly utilized in some centers. The assessment of tissue hardness and vascularity using these technologies further assists in characterizing the lesion, and can also facilitate targeting EUS-FNA so as to optimize diagnostic sampling. In addition to local staging, EUS allows an assessment for liver metastases, celiac/para-aortic lymphadenopathy and small volume, malignant ascites. EUS is increasingly used therapeutically. EUS celiac plexus neurolysis for palliation of malignancy-associated pain can be performed following diagnostic EUS in the same procedure. Despite advances in endoscopic technology, techniques and training, failed biliary cannulation can occur in 5%-20% of ERCPs, which usually requires a repeat endoscopic attempt, aided with a percutaneous access or endoscopic ultrasound, or alternatively conversion to a percutaneous radiological or a surgical intervention. Percutaneous access to the biliary system from either (a) a transhepatic approach, or (b) a transcholecystic approach. The latter approach is used when transhepatic access is not possible or is unsuccessful, often occurring when the intrahepatic ducts are not dilated. The transcholecystic approach could also be utilized if the patient has an indwelling cholecystostomy drain. After a successful percutaneous biliary access, a guide wire is manipulated across the common bile duct into the duodenum. An external-internal biliary drainage catheter is inserted over this wire if endoscopy is not being planned at the same setting. Over-the-wire cannulation: A long guide wire is inserted into the duodenum and retrieved endoscopically. An endoscopic cannula is then threaded over the wire to complete the ERCP. Through-the-catheter cannulation: A guide wire is inserted from the endoscope into the lumen of the percutaneous biliary drainage catheter, either through its end hole or a side hole. The percutaneous biliary drainage catheter is then withdrawn into a peripheral duct to allow subsequent ERCP. Parallel cannulation: A guide wire is inserted by the side of the indwelling percutaneous biliary drain or wire. The drainage catheter or wire facilitates identification of the ampulla, and straightens the common bile duct for easier cannulation. After the ERCP, the percutaneous catheter or wire is removed either immediately or at a subsequent setting. The radiological and endoscopic procedures can be combined at the same setting or can be spaced apart. The single-stage, simultaneous rendezvous is more desirable, as it is associated with lesser complications, reduced length of hospitalization, reduced costs, and better patient tolerance. It however requires coordination of timing and equipment between the radiologist and the endoscopist, and this could be a challenge. Hence most centers tend to space the procedures apart. If the procedures are staged, it is prudent to perform the radiological drainage within 48 hours of a failed ERCP, especially if the bile duct has been contaminated with contrast. Once the radiological drain is inserted, the ERCP could be performed at any stage, but should ideally be done within a week to reduce the risk of cholangitis. The rendezvous procedure is ideally suited for management of choledocholithiasis, as endoscopic treatment for biliary calculi is most effective. For biliary stricture management, however, the need for the combined endoscopic-percutaneous rendezvous approach is much diminished. Metallic stents can be inserted percutaneously through tracks of similar size (6-7F) necessary for a rendezvous ERCP in a one-stage procedure, without any need for a prior percutaneous biliary drainage. Additionally, the cost of percutaneous primary metallic stenting is less than that of a rendezvous procedure. However, if plastic stents are to be used, the combined approach represents a reasonable alternative, as larger tracts (10-12F) need to be created for percutaneous stenting. However, it can be argued that insertion of a percutaneous plastic stent 2-3 days later is just as effective, especially as combined procedures are rarely performed in a single session for logistic reasons. The use of a radiological approach, either alone or in combination with endoscopy increases the success rate of biliary intervention close to 100%, even in patients with surgically altered anatomy and duodenal obstruction. The use of EUS guidance has evoked significant interest of late, but it requires extra skill, expertise and special equipment. Radiological intervention has been proven efficacious over many years, with low risk, and should be considered when available. ERCP has been one of the most essential diagnositic and therapeutic tools in patients with pancreaticobiliary diseases. In general, the success rate of cannulation into bile duct and pancreatic duct is more than 90% in patients with a normal anatomy. Apart from patients with a normal anatomy, ERCP in patients with surgically altered anatomy can often be more challenging. In particular, Billroth II gastrectomy, Whipple resection, and Roux-en-Y anastomosis (R-Y) have been thought to preclude endoscopic access for both diagnostic and therapeutic ERCP using conventional forward-view and side-view endoscopes.,, Recently, the use of single-/double-balloon enteroscopy can be useful for performing ERCP in patients with such surgically altered anatomy., However, even using single-/double-balloon enteroscopy, successful bile duct and pancreatic duct cannulations are not always accomplished. Recently, EUS-guided biliary and pancreatic duct drainage had been described as a rescue technique for management of patients with surgically altered anatomy.,, Although these techniques seem to be immature now, newly developed and dedicated devices for EUS-guided procedures may contribute safe and reliable biliary and pancreatic duct access. Several reports of EUS-guide biliary drainage (EUS-BD) have been published since the first description of EUS- guided biliary puncture in 1996 by Wiersema et al. The success rate of EUS-BD in the literature varied from 85%- 90% and the complication rate ranged from 10%-16%.,, The indications for EUS-BD generally included patients with failed ERCP from various causes and patients with altered anatomy where ERCP was not feasible.,, The EUS-BD technique can be categorized as EUS-guided rendezvous (EUS-R) and EUS direct intervention with either choledochoduodenostomy or hepaticogastrostomy. The EUS-R success rate in multiple reports was generally lower than direct intervention (80% vs. 94%-96%), but no comparative studies are available.,,,, The duodenal approach is better for wire manipulation than the gastric approach in EUS-R and some authors preferred the second part of duodenum since the direction of the needle and guide wire is toward the papilla, but the risk of the scope falling back during the procedure may be higher. No standardized technique of EUS-BD has been established. There are many technical variations in EUS- BD. At present, there is no consensus as to how the choice should be made of access technique (rendezvous vs. direct intervention), site of puncture (hepaticogastrostomy vs. choledochoduodenostomy), technique of tract dilation (catheter dilator vs. balloon dilator vs. electrocautery with needle knife or cystotome), and stent selection (plastic stent vs. metallic stent, pigtail vs. straight plastic stent, partial covered vs. fully-covered metallic stent.,,,,,, There are limited or no data comparing the efficacy among different techniques and types of stents in EUS-BD. In one study from Korea, tract dilation with a needle-knife was associated with an increased risk of post-procedure complication. The stent patency of metallic stents may be longer than that of plastic stents in some case-series reports. The efficacy of EUS-BD compared with percutaneous drainage had been reported in 25 patients; 13 were treated with EUS-BD and 12 with percutaneous biliary drainage (PTBD) in one study that showed a similar efficacy in terms of success, complication rate, cost and quality of life. One randomized study conducted at the author's institute in 10 patients comparing EUS-BD with PTBD showed the same efficacy in terms of relief of jaundice, but the study was terminated due to slow patient recruitment (unpublished data). In a non-randomized study where EUS-R was compared with precut in patients with failed ERCP, the success rate of EUS-R was higher than precut. EUS-BD should be performed by experienced endoscopists in both ERCP and EUS. A good immediate backup team must be available in case of EUS-BD failure, to perform rescue drainage and to minimize the potential complications of EUS-BD. Detailed evaluation of the clinical problem, anatomy and goal of intervention should be performed, and combined with a pre-procedure team briefing on procedure technique, accessories to be used, and potential problems anticipated. The learning curve required to master this technique is not well defined and it is potentially variable depending on the skills of the endoscopist. In a Spanish national survey study, 19 centers with experience of less than 20 procedures participated in EUS-guided cholangiopancreatography in 125 patients and the failure rate was 32.8%. In our experience, the failure rate in the first 13 procedures was 38% and the failure rate in the subsequent 18 procedures was 11%. There is currently no optimal training curriculum established. Future developments needed to improve EUS-BD include defining of optimal indications, standardization of technique, defining the role of each technique and determining the optimal site of puncture. The development of a dedicated EUS scope for EUS-BD such as a forward-view EUS scope or a side-view EUS scope may help improve the efficacy of EUS-BD. It is hoped that we will soon see the modification of existing tools and invention of new accessories optimized for EUS-BD procedures, aimed at improving success and decreasing complication rates. Examples in development include needle design to prevent shearing of the needle coating, polishing of the needle lumen to increase the smoothness of guide wire insertion, and re-design of guide wires, dilators and stents suitable for EUS-BD. Finally, the efficacy of EUS-BD should be evaluated by comparing with alternative methods, with more studies to establish its role in biliary obstruction. Since more than 80% of patients with advanced pancreatic cancer experience severe pain, pain control is a major challenge in the management of such patients. The celiac plexus is responsible for transmitting pain sensations originating from the upper abdominal organs, including the pancreas, liver, gallbladder, stomach, and ascending and transverse colons. This plexus surrounds the celiac artery (CA) and the superior mesenteric artery (SMA) as they originate from the anterior surface of the abdominal aorta and comprises several ganglia and interconnecting neural rami. Celiac plexus neurolysis (CPN) is a technique that disrupts the transmission of pain signals via the injection of a neurolytic agent into the celiac plexus. This procedure has been previously performed under the guidance of radiography, fluoroscopy, CT, or US. EUS-guided CPN (EUS- CPN) was introduced by Wiersema et al. in 1996, wherein a neurolytic agent is injected at the base or on both sides of the celiac axis, which are the probable locations of the celiac ganglia. It was recently demonstrated that the celiac ganglia could be precisely visualized by EUS., Subsequently, a new procedure involving the direct puncture and injection of a neurolytic agent into an individual celiac ganglion (EUS- guided direct celiac ganglia neurolysis: EUS-CGN) was introduced by Levy et al. in 2008. An initial evaluation of this technique showed a surprisingly high efficacy. However, no reports have thus far compared directly the outcomes of EUS-CPN and EUS-CGN; therefore, we conducted a randomized controlled trial (RCT) in order to perform this comparison (in press data). Thirteen Japanese facilities participated in this multicenter RCT. Patients with upper abdominal cancer pain, mainly pancreatic cancer pain, were randomly assigned to either the EUS-CGN or EUS-CPN group. Evaluation was performed at 7 days postoperatively using a pain scale (VAS) scored from 0 to 10. The patients in whom the pain decreased to ≤3 were considered to have a positive response, while those experienced a pain decrease to ≤1 were considered completely responsive. Comparison between the two groups was performed using intention-to- treat analysis. A total of 68 patients were assigned to each group. Visualization of the ganglia was possible in 30 of 34 cases (88%) in the EUS-CGN group. The positive response rate was significantly higher in the EUS-CGN group (73.5%) than that in the EUS-CPN group (45.5%; P = 0.026). The complete response rate was also significantly higher in the EUS-CGN group (50.0%) than that in the EUS-CPN group (18.2%; P = 0.010). No differences were observed between the two groups in the incidence of adverse events or the duration of the pain relief. The results revealed that EUS- CGN was significantly superior to conventional EUS-CPN in cancer pain relief. Precise staging of hilar cholangiocarcinoma is important for determining surgical resectability and the chance of curative treatment. The anatomical extent is described using the Bismuth—Corlette classification. Staging systems used include the Memorial Sloan-Kettering Cancer Center (MSKCC) staging system, the AJCC/UICC staging system, and a new system proposed by an international cholangiocarcinoma working group. Accurate early diagnosis and precise staging are crucial. Correct diagnosis facilitates early surgery for localized disease and precise staging avoids futile surgery in advanced disease. CT and MRI are the key investigations required for diagnosis and staging. In particular, MRCP is crucial for anatomical mapping and should precede ERCP. In terms of CT assessment, for ductal extent, the accuracy has been reported at 86%. For assessment of portal vein involvement, a sensitivity of 89% and a specificity of 92% were reported. In terms of assessment of hepatic artery involvement, a sensitivity of 83% and a specificity of 93% were reported. The sensitivity for lymph node detection by CT was somewhat low at 61%, but the specificity was acceptable at 88%. MRI is able to assess the level and extent of ductal involvement with an accuracy of 88%-96%. MRI assessment of arterial involvement had a sensitivity of 58%, a specificity of 93% and an accuracy of 89% respectively. For venous involvement, the sensitivity, specificity and accuracy were 78%, 91% and 67%-89%, respectively. EUS, EUS-FNA and intraductal ultrasound during ERCP complement CT/MRI and have crucial adjunctive roles. These include the differential diagnosis of proximal biliary stricture, the assessment of tumor extent and vascular involvement especially when there is borderline surgical resectability, and tissue acquisition by EUS-FNA for diagnosis. A large case series recently reported on the role of EUS for preoperative evaluation of cholangiocarcinoma. Among 81 cases of cholangiocarcinoma (distal: 51, proximal: 30), the sensitivity of EUS vs. CT (P < 0.001) vs. MRI (P = 0.07) for tumor detection was 94% (76/81) vs. 30% (23/30) vs. 42% (11/26) respectively. EUS detection of distal vs. proximal tumor was 100% vs. 83% (P < 0.01). EUS-FNA had an overall sensitivity of 73% (distal vs. proximal lesion: 81% vs. 59%, P = 0.04). EUS diagnosis of unresectability (N = 15) had a sensitivity of 53% and a specificity of 97%. Of the 8 cases with unresectable tumors missed by EUS, 6 were missed by CT or MRI. Another study evaluated the role of EUS-FNA of regional lymph nodes in patients with hilar cholangiocarcinoma being considered for liver transplantation (n = 47). EUS-FNA prevented unnecessary surgery in 17% of patients. Among cases with no lymph nodes based on EUS assessment, this was confirmed by staging laparotomy in 20/22 cases. EUS-FNA has also been shown to be useful in providing diagnosis of malignant proximal biliary stricture after negative ERCP brush cytology, with a reported sensitivity of 77%, a specificity of 100%, a positive predictive value of 100%, and an accuracy of 79%. Unfortunately the negative predictive value was only 29%. Intraductal ultrasound can be easily performed when cholangiography is indicated before surgery either for drainage preoperatively or when further confirmation of tumor extent is required. It is useful in differentiating benign from malignant biliary strictures. The accuracy of intraductal ultrasound for malignancy (vs. histology) has been reported to be 76%, significantly more accurate than EUS (89% vs. 76%)(98). In a comparative study that evaluated ERCP, MRCP and intraductal ultrasound, with histology as gold standard, ERCP and MRCP allowed correct differentiation of malignant from benign lesions in 76% and 58%, respectively. By supplementing ERCP with intraductal ultrasound, the accuracy of correct differentiation of malignant from benign lesions increased significantly to 88%. Intraductal ultrasound is useful for T-staging of cholangiocarcinoma. However it is not useful for N- and M-staging. This is due to the fact that the limited depth of sonographic penetration precludes adequate assessment of nodal status and distant metastases. Hence, the main value resides in assessment of the resectability and the longitudinal extent of the lesion when there is no evidence of distant spread on CT. In a study that compared intraductal ultrasound and EUS against operative findings, intraductal ultrasound had a T-staging accuracy rate of 78% compared 54% for EUS and correctly predicted resectability in significantly more patients than EUS (82% vs. 76%). Intraductal ultrasound is able to visualize the portal vein and the right hepatic artery at the hepatic hilum, and hence is useful in assessing vascular invasion. However, it cannot adequately visualize and, thus cannot accurately diagnose vascular invasion of the common hepatic artery and the left hepatic artery due to limited sonographic penetration. Tamaka et al. showed that it was possible to visualize the portal vein in all cases (n = 18) and the accuracy for assessing portal vein involvement for all locations was 100%, unlike EUS where the accuracy was 91% for mid to distal and 57% for proximal bile duct. In another study assessing hepatic artery involvement (n = 22), the right hepatic artery was seen in all cases and the accuracy of diagnosing right hepatic artery invasion was 100%. However the common hepatic artery was seen only in 18% and the left hepatic artery in 14%. Accurate assessment of the longitudinal extent is important for planning margins of surgical resection. In a direct comparison between intraductal ultrasound and ERCP using operative findings as the gold standard, the former was significantly superior to the latter in assessment of both proximal tumor extension towards the liver (84% vs. 47%) and distal tumor extension towards the duodenum (86% vs. 43%). A recent study examined the role of preoperative intraductal ultrasound evaluation of the longitudinal extent of borderline resectable hilar cholangiocarcinoma. The accuracies of CT, ERCP, and intraductal ultrasound were 66.6%, 60%, and 90% respectively. This suggested that intraductal ultrasound was important for optimal surgical planning in patients with borderline resectable hilar cholangiocarcinoma. In conclusion, EUS and intraductal ultrasound have important roles as adjunct to CT and MRI in the diagnosis and staging of hilar cholangiocarcinoma. EUS, as its name suggests, has endoscopy and ultrasound components. In most centers, EUS is taught with textbooks, video clips and sometimes with simulators. The most important teaching modalities however are in-room procedure observation and hands-on training. When EUS is being learned, the interpretation of ultrasound images can be difficult to learn, especially for endoscopists who do not have experience in ultrasound. The teaching program for EUS at National Taiwan University Hospital begins in the second year of GI fellowship. We require our fellows to have experience in trans-abdominal ultrasound before starting on EUS training, and emphasize this as a pre-requisite. Experience in trans-abdominal ultrasound gives the EUS trainee a good foundation in the principles of ultrasound imaging. This exposure also gives the trainee a head-start in learning EUS anatomy, for which a number of landmark views are similar to those seen in trans-abdominal ultrasound [Figure 9]A-C. Our trainees start learning GI tract wall structure during sessions in regular ultrasound, and are simultaneously introduced to cross-sectional and longitudinal views of GI tract. This makes it easier for them to understand radial and linear EUS anatomy in GI tract, and also gives them exposure to Doppler and elastography imaging before they begin EUS training. Figure 9: Similar anatomic images shown by US and EUS. A: The pancreatic body; B: The celiac trunk; C: The celiac artery and SMA. US: ultrasound; EUS: endoscopic ultrasound; SMA: superior mesenteric artery. Most Japanese and Taiwanese endoscopists also practice trans-abdominal ultrasound, which for them may make learning EUS a natural extension of a pre-existing skill set. In other countries, ultrasound is practiced by radiologists. We suggest negotiating with radiologists for short-term ultrasound training if this is the case. The other suggestion is self-learning by real-time-virtual sonography (RVS), which combines real-time views of EUS with simultaneous CT or MRI images. Natural-orifice transluminal endoscopic surgery (NOTES) is an emerging minimally invasive surgical technique that promises better surgical outcome than current standard laparoscopic surgery, but NOTES faces multiple implementation challenges, primarily due to lack of proper instrumentations to facilitate better endoscopic visualization and articulation of surgical instruments. Blind translumenal surgical access to organs in the abdomen poses a significant risk of inadvertent injury to adjacent organs and vessels. To mitigate these risks of injuries, current endoscopic instrumentations would have to be improved to enhance instrumental dexterity and surgical maneuverability. While some investigators, including a group in Singapore working on the MASTER endoluminal robot, are tapping on direct-driven multi-tasking platforms or robotic technologies to increase endoscopic instrumental dexterity with promising results,,,,, other investigators are exploring into the application of EUS technologies in NOTES to mitigate risks of injuries associated with the transluminal surgical approach.,,, Several investigators have demonstrated that systematic anterior and posterior access for transgastric peritoneoscopy and direct pancreatic endoscopic procedures were achievable with EUS guidance., EUS guidance was also particularly helpful in gaining access or identifying structures in anatomically difficult areas in NOTES procedures. The inadvertent surgical injuries sustained during a NOTES procedure was also found to substantially decrease when EUS-guided transluminal access to target organs in the peritoneum was applied. Thus, investigators suggested that EUS is a viable and promising adjunct to NOTES, particularly as operators gained more experience in using EUS to identify and avoid injuring at-risk extraluminal structures during the performance of NOTES. There are challenges though, amongst which are (i) the sharp learning curve for EUS imaging, and (ii) the lack of suitable sonographically visible endoscopic accessories for use in the application. Thus, more knowledge of EUS-guided NOTES would have to be gained before it can be implemented for use clinically. We had the opportunity to discuss the present status of EUS in Asian-Pacific countries at the EUS forum during APDW 2012 in Bangkok. The significance of EUS and the limitations of diagnostic and interventional EUS were reconfirmed and summarized. EUS imaging and EUS-FNA are indispensable methods for diagnosing SMTs. However, further discussion is required on the diagnostic and therapeutic strategies using EUS. It is true that EUS can afford the most precise imaging of PCNs among the imaging tools available. Histopathological diagnosis by EUS-FNA is also helpful for obtaining the correct diagnosis; however, limitations in diagnostic accuracy remain. The discussion continues regarding the development of new modalities and techniques to improve diagnostic yield. PCNs are still problematic and mysterious not only diagnostically but in the determination of the optimal clinical management algorithm. On the other hand, it can be safely said that EUS, EUS- FNA and contrast EUS are valuable for the diagnosis and determination of the management strategy for pancreatic cancer. And it is apparent that EUS and intraductal ultrasound are useful in the staging of hilar cholangiocarcinoma. Interventional EUS techniques such as pancreatic cyst drainage, rendezvous and other biliary drainage techniques continue to evolve; however, the accessories are incomplete and unsatisfactory at present. Though some unsolved problems remain, we believe the future of EUS and related procedures is hopeful and expect further spreading of these methods in Asia-pacific countries as well as all over the world. During the EUS forum at APDW 2012, the current state of the art in EUS was presented across an array of pathologies. A number of controversies arose, stimulating discussion aimed at improving endosonography practice in the Asia-Pacific region and globally. It is hoped that the detailed discussions conducted by EUS experts and surgeons, based on the available evidence and expert opinion, will be helpful for all practitioners. The majority of the content presented in the meeting has been summarized by the presenters and appears here in this report. The authors hope that this report will serve as a practical guide to endosonography. It is hoped too that increasing focused EUS forums become a feature of large, general regional conferences so as to facilitate the ongoing advancement of this technique, and the resolution of the controversies and limitations acknowledged at this meeting. We acknowledge the significant contributions made by Amit Maydeo, M.D., and Robert H Hawes, M.D. to the EUS Forum at APDW 2012 in the form of their presentations and guidance. 1. Fusaroli P, Kypraios D, Eloubeidi MA, et al. Levels of evidence in endoscopic ultrasonography: a systematic review. Dig Dis Sci 2012; 57: 602-9. 2. Fusaroli P, Kypraios D, Caletti G, et al . Pancreatico-biliary endoscopic ultrasound: a systematic review of the levels of evidence, performance and outcomes. World J Gastroenterol 2012; 18: 4243-56. 3. Ohgami M, Otani Y, Kumai K, et al . Curative laparoscopic surgery for early gastric cancer: fve years experience. World J Surg 1999; 23: 187-92; discussion 92-3. 4. Choi SM, Kim MC, Jung GJ, et al . Laparoscopic wedge resection for gastric GIST: long-term follow-up results. Eur J Surg Oncol 2007; 33: 444-7. 5. Lee JH, Han HS, Kim YW, et al . Laparoscopic wedge resection with handsewn closure for gastroduodenal tumors. J Laparoendosc Adv Surg Tech A 2003; 13: 349-53. 6. Ludwig K, Wilhelm L, Scharlau U, et al . Laparoscopic-endoscopic rendezvous resection of gastric tumors. Surg Endosc 2002; 16: 1561-5. 8. Nguyen NT, Jim J, Nguyen A, et al . Laparoscopic resection of gastric stromal tumor: a tailored approach. Am Surgeon 2003; 69: 946-50. 9. Avital S, Brasesco O, Szomstein S, et al . Technical considerations in laparoscopic resection of gastric neoplasms. Surg Endosc 2003; 17: 763-5. 10. Rembacken BJ, Gotoda T, Fujii T, et al . Endoscopic mucosal resection. Endoscopy 2001; 33: 709-18. 11. Soetikno RM, Gotoda T, Nakanishi Y, et al . Endoscopic mucosal resection. Gastrointest Endosc 2003; 57: 567-79. 12. Gotoda T. A large endoscopic resection by endoscopic submucosal dissection procedure for early gastric cancer. Clin Gastroenterol Hepatol 2005; 3: S71-3. 13. Lee IL, Lin PY, Tung SY, et al . Endoscopic submucosal dissection for the treatment of intraluminal gastric subepithelial tumors originating from the muscularis propria layer. Endoscopy 2006; 38: 1024-8. 14. Hiki N, Yamamoto Y, Fukunaga T, et al . 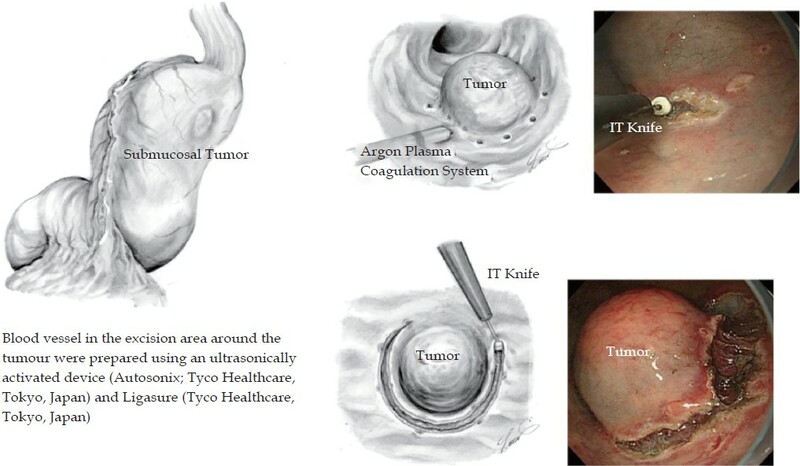 Laparoscopic and endoscopic cooperative surgery for gastrointestinal stromal tumor dissection. Surg Endosc 2008; 22: 1729-35. 15. Yoon WJ, Brugge WR. Pancreatic cystic neoplasms: diagnosis and management. Gastroenterol Clin North Am 2012; 41: 103-18. 16. Pausawasdi N, Heidt D, Kwon R, et al . Long-term follow-up of patients with incidentally discovered pancreatic cystic neoplasms evaluated by endoscopic ultrasound. Surgery 2010; 147: 13-20. 17. Das A, Ngamruengphong S, Nagendra S, et al . Asymptomatic pancreatic cystic neoplasm: a cost-effectiveness analysis of different strategies of management. Gastrointest Endosc 2009; 70: 690-9 e6. 18. DeWitt J, McGreevy K, Schmidt CM, et al . EUS-guided ethanol versus saline solution lavage for pancreatic cysts: a randomized, double-blind study. Gastrointest Endosc 2009; 70: 710-23. 19. Oh HC, Seo DW, Song TJ, et al . Endoscopic ultrasonography-guided ethanol lavage with paclitaxel injection treats patients with pancreatic cysts. Gastroenterology 2011; 140: 172-9. 20. Lee CJ, Scheiman J, Anderson MA, et al . Risk of malignancy in resected cystic tumors of the pancreas < or =3 cm in size: is it safe to observe asymptomatic patients? A multi-institutional report. J Gastrointest Surg 2008; 12: 234-42. 21. Falconi M, Mantovani W, Crippa S, et al . Pancreatic insuffciency after different resections for benign tumours. Brit J Surg 2008; 95: 85-91. 22. Correa-Gallego C, Brennan MF, D'Angelica MI, et al . Contemporary experience with postpancreatectomy hemorrhage: results of 1,122 patients resected between 2006 and 2011. J Am Coll Surgeons 2012; 215: 616-21. 23. Gan SI, Thompson CC, Lauwers GY, et al . Ethanol lavage of pancreatic cystic lesions: initial pilot study. Gastrointest Endosc 2005; 61: 746-52. 24. Oh HC, Seo DW, Lee TY, et al . New treatment for cystic tumors of the pancreas: EUS-guided ethanol lavage with paclitaxel injection. Gastrointest Endosc 2008; 67: 636-42. 25. Oh HC, Seo DW, Kim SC, et al . Septated cystic tumors of the pancreas: is it possible to treat them by endoscopic ultrasonography-guided intervention? Scand J Gastroenterol 2009; 44: 242-7. 26. Matsuda Y, Yabuuchi I. Hepatic tumors: US contrast enhancement with CO2 microbubbles. Radiology 1986; 161: 701-5. 27. Hirooka Y, Naitoh Y, Goto H, et al . Usefulness of contrast-enhanced endoscopic ultrasonography with intravenous injection of sonicated serum albumin. Gastrointest Endosc 1997; 46: 166-9. 28. Kato T, Tsukamoto Y, Naitoh Y, et al . Ultrasonographic and endoscopic ultrasonographic angiography in pancreatic mass lesions. Acta Radiol 1995; 36: 381-7. 29. Hirooka Y, Goto H, Ito A, et al . Contrast-enhanced endoscopic ultrasonography in pancreatic diseases: a preliminary study. Am J Gastroenterol 1998; 93: 632-5. 30. Hirooka Y, Naitoh Y, Goto H, et al . Contrast-enhanced endoscopic ultrasonography in gallbladder diseases. Gastrointest Endosc 1998; 48: 406-10. 31. Nomura N, Goto H, Niwa Y, et al . Usefulness of contrast-enhanced EUS in the diagnosis of upper GI tract diseases. Gastrointest Endosc 1999; 50: 555-60. 32. Kanamori A, Hirooka Y, Itoh A, et al . Usefulness of contrast-enhanced endoscopic ultrasonography in the differentiation between malignant and benign lymphadenopathy. Am J Gastroenterol 2006; 101: 45-51. 33. Hirooka Y, Itoh A, Kawashima H, et al . Diagnosis of pancreatic disorders using contrast-enhanced endoscopic ultrasonography and endoscopic elastography. Clin Gastroenterol Hepatol 2009; 7: S63-7. 34. Ishikawa T, Itoh A, Kawashima H, et al . Usefulness of EUS combined with contrast-enhancement in the differential diagnosis of malignant versus benign and preoperative localization of pancreatic endocrine tumors. Gastrointest Endosc 2010; 71: 951-9. 35. Matsubara H, Itoh A, Kawashima H, et al . Dynamic quantitative evaluation of contrast-enhanced endoscopic ultrasonography in the diagnosis of pancreatic diseases. Pancreas 2011; 40: 1073-9. 36. Hirooka Y, Itoh A, Kawashima H, et al . Contrast-enhanced endoscopic ultrasonography in digestive diseases. J Gastroenterol 2012; 47: 1063-72. 37. Hartwig W, Hackert T, Hinz U, et al . Pancreatic cancer surgery in the new millennium: better prediction of outcome. Ann Surg 2011; 254: 311-9. 38. Pedrazzoli S, DiCarlo V, Dionigi R, et al . Standard versus extended lymphadenectomy associated with pancreatoduodenectomy in the surgical treatment of adenocarcinoma of the head of the pancreas: a multicenter, prospective, randomized study. Ann Surg 1998; 228: 508-17. 39. Farnell MB, Pearson RK, Sarr MG, et al . A prospective randomized trial comparing standard pancreatoduodenectomy with pancreatoduodenectomy with extended lymphadenectomy in resectable pancreatic head adenocarcinoma. Surgery 2005; 138: 618-28; discussion 28-30. 40. Yeo CJ, Cameron JL, Lillemoe KD, et al . Pancreaticoduodenectomy with or without distal gastrectomy and extended retroperitoneal lymphadenectomy for periampullary adenocarcinoma, part 2: randomized controlled trial evaluating survival, morbidity, and mortality. Ann Surg 2002; 236: 355-66; discussion 66-8. 41. Fuhrman GM, Leach SD, Staley CA, et al . Rationale for en bloc vein resection in the treatment of pancreatic adenocarcinoma adherent to the superior mesenteric-portal vein confuence. Ann Surg 1996; 223: 154-62. 42. Harrison LE, Klimstra DS, Brennan MF. Isolated portal vein involvement in pancreatic adenocarcinoma. A contraindication for resection? Ann Surg 1996; 224: 342-7; discussion 7-9. 43. Leach SD, Lee JE, Charnsangavej C, et al . Survival following pancreaticoduodenectomy with resection of the superior mesenteric-portal vein confluence for adenocarcinoma of the pancreatic head. Brit J Surg 1998; 85: 611-7. 44. Mollberg N, Rahbari NN, Koch M, et al . Arterial resection during pancreatectomy for pancreatic cancer: a systematic review and meta-analysis. Ann Surg 2011; 254: 882-93. 45. Bockhorn M, Burdelski C, Bogoevski D, et al . Arterial en bloc resection for pancreatic carcinoma. Brit J Surg 2011; 98: 86-92..
46. Kazanjian KK, Hines OJ, Duffy JP, et al . Improved survival following pancreaticoduodenectomy to treat adenocarcinoma of the pancreas: the infuence of operative blood loss. Arch Surg 2008; 143: 1166-71. 47. Grobmyer SR, Pieracci FM, Allen PJ, et al . Defining morbidity after pancreaticoduodenectomy: use of a prospective complication grading system. J Am Coll Surgeons 2007; 204: 356-64. 48. Yeo CJ, Cameron JL, Sohn TA, et al . Six hundred fifty consecutive pancreaticoduodenectomies in the 1990s: pathology, complications, and outcomes. Ann Surg 1997; 226: 248-57; discussion 57-60. 49. Tsao JI, Rossi RL, Lowell JA. Pylorus-preserving pancreatoduodenectomy. Is it an adequate cancer operation. Arch Surg 1994; 129: 405-12. 50. Andersen HB, Baden H, Brahe NE, et al . Pancreatico-duodenectomy for periampullary adenocarcinoma. J Am Coll Surgeons 1994; 179: 545-52. 51. Sun S, Xu H, Xin J, et al . Endoscopic ultrasound-guided interstitial brachytherapy of unresectable pancreatic cancer: results of a pilot trial. Endoscopy 2006; 38: 399-403. 52. Sun S, Wang S, Ge N, et al . Endoscopic ultrasound-guided interstitial chemotherapy in the pancreas: results in a canine model. Endoscopy 2007; 39: 530-4. 53. Jin Z, Du Y, Li Z, et al . Endoscopic ultrasonography-guided interstitial implantation of iodine 125-seeds combined with chemotherapy in the treatment of unresectable pancreatic carcinoma: a prospective pilot study. Endoscopy 2008; 40: 314-20. 54. Wang KX, Jin ZD, Du YQ, Zhan XB, Zou DW, Liu Y, et al. EUS-guided celiac ganglion irradiation with iodine-125 seeds for pain control in pancreatic carcinoma: a prospective pilot study. Gastrointest Endosc 2012; 76: 945-52. 55. Sun S, Ge N, Wang S, et al . Pilot trial of endoscopic ultrasound-guided interstitial chemoradiation of UICC-T4 pancreatic cancer. Endosc Ultrasound 2012; 1: 41-7. 56. Swan MP, Bourke MJ, Williams SJ, et al . Failed biliary cannulation: clinical and technical outcomes after tertiary referral endoscopic retrograde cholangiopancreatography. World J Gastroenterol 2011; 17: 4993-8. 57. Verstandig AG, Goldin E, Sasson T, et al . Combined transhepatic and endoscopic procedures in the biliary system. Postgrad Med J 1993; 69: 384-8. 58. Wayman J, Mansfield JC, Matthewson K, et al . Combined percutaneous and endoscopic procedures for bile duct obstruction: simultaneous and delayed techniques compared. Hepato-gastroenterol 2003; 50: 915-8. 59. Martin DF. Combined percutaneous and endoscopic procedures for bile duct obstruction. Gut 1994; 35: 1011-2. 60. Inal M, Aksungur E, Akgul E, et al . Percutaneous placement of metallic stents in malignant biliary obstruction: one-stage or two-stage procedure? Pre-dilate or not? Cardiovasc Intervent Radiol 2003; 26: 40-5. 61. Freeman ML, Guda NM. ERCP cannulation: a review of reported techniques. Gastrointest Endosc 2005; 61: 112-25. 62. Lin LF, Siauw CP, Ho KS, et al . ERCP in post-Billroth II gastrectomy patients: emphasis on technique. Am J Gastroenterol 1999; 94: 144-8. 63. Chahal P, Baron TH, Topazian MD, et al . Endoscopic retrograde cholangiopancreatography in post-Whipple patients. Endoscopy 2006; 38: 1241-5. 64. Wright BE, Cass OW, Freeman ML. ERCP in patients with long-limb Roux-en-Y gastrojejunostomy and intact papilla. Gastrointest Endosc 2002; 56: 225-32. 65. Itoi T, Ishii K, Sofuni A, et al . Long- and short-type double-balloon enteroscopy-assisted therapeutic ERCP for intact papilla in patients with a Roux-en-Y anastomosis. Surg Endosc 2011; 25: 713-21. 66. Itoi T, Isayama H, Sofuni A, et al . Stent selection and tips on placement technique of EUS-guided biliary drainage: transduodenal and transgastric stenting. J Hepato-biliary-pancreat Sci 2011; 18: 664-72. 67. Itoi T, Kikuyama M, Ishii K, et al . EUS-guided rendezvous with single-balloon enteroscopy for treatment of stenotic pancreaticojejunal anastomosis in post-Whipple patients (with video). Gastrointest Endosc 2011; 73: 398-401. 68. Artifon EL, Ferreira FC, Otoch JP, et al . EUS-guided biliary drainage: a review article. J Pancreas 2012; 13: 7-17. 69. Wiersema MJ, Sandusky D, Carr R, et al . Endosonography-guided cholangiopancreatography. Gastrointest Endosc 1996; 43(2 Pt 1): 102-6. 70. Shami VM, Kahaleh M. Endoscopic ultrasonography (EUS)-guided access and therapy of pancreatico-biliary disorders: EUS-guided cholangio and pancreatic drainage. Gastrointest Endosc Clin North Am 2007; 17: 581-93, vii-viii. 71. Tarantino I, Barresi L, Fabbri C, et al . Endoscopic ultrasound guided biliary drainage. World J Gastrointest Endosc 2012; 4: 306-11. 72. Iwashita T, Lee JG. Endoscopic ultrasonography-guided biliary drainage: rendezvous technique. Gastrointest Endosc Clin North Am 2012; 22: 249-58, viii-ix. 73. Yamao K, Hara K, Mizuno N, et al . Endoscopic ultrasound-guided choledochoduodenostomy for malignant lower biliary tract obstruction. Gastrointest Endosc Clin North Am 2012; 22: 259-69, ix. 74. Park do H. Endoscopic ultrasonography-guided hepaticogastrostomy. Gastrointest Endosc Clin North Am 2012; 22: 271-80, ix. 75. Attasaranya S, Netinasunton N, Jongboonyanuparp T, et al . The Spectrum of Endoscopic Ultrasound Intervention in Biliary Diseases: A Single Center's Experience in 31 Cases. Gastroenterol Res Pract 2012; 2012: 680753. 76. Kim TH, Kim SH, Oh HJ, et al . Endoscopic ultrasound-guided biliary drainage with placement of a fully covered metal stent for malignant biliary obstruction. World J Gastroenterol 2012; 18: 2526-32. 77. Park do H, Jang JW, Lee SS, et al . EUS-guided biliary drainage with transluminal stenting after failed ERCP: predictors of adverse events and long-term results. Gastrointest Endosc 2011; 74: 1276-84. 78. Artifon EL, Aparicio D, Paione JB, et al . Biliary drainage in patients with unresectable, malignant obstruction where ERCP fails: endoscopic ultrasonography-guided choledochoduodenostomy versus percutaneous drainage. J Clin Gastroenterol 2012; 46: 768-74. 79. Dhir V, Bhandari S, Bapat M, et al . Comparison of EUS-guided rendezvous and precut papillotomy techniques for biliary access (with videos). Gastrointest Endosc 2012; 75: 354-9. 80. Vila JJ, Perez-Miranda M, Vazquez-Sequeiros E, Abadia MA, Perez-Millan A, Gonzalez-Huix F, et al. Initial experience with EUS-guided cholangiopancreatography for biliary and pancreatic duct drainage: a Spanish national survey. Gastrointest Endosc 2012; 76: 1133-41. 81. Fusaroli P, Cortecchia S, Caletti G. EUS-FNA using a forward-view echoendoscope in difficult cases. J Gastrointest Liver Dis 2011; 20: 216-7. 82. Khashab MA, Dewitt J. Treatment and prevention of wire shearing during EUS-guided biliary drainage. Gastrointest Endosc 2012; 76: 921-3. 83. Caraceni A, Portenoy RK. Pain management in patients with pancreatic carcinoma. Cancer 1996; 78: 639-53. 84. Wiersema MJ, Wiersema LM. Endosonography-guided celiac plexus neurolysis. Gastrointest Endosc 1996; 44: 656-62. 85. Gerke H, Silva RG, Jr., Shamoun D, et al . EUS characteristics of celiac ganglia with cytologic and histologic confirmation. Gastrointest Endosc 2006; 64: 35-9. 86. Levy M, Rajan E, Keeney G, et al . Neural ganglia visualized by endoscopic ultrasound. Am J Gastroenterol 2006; 101: 1787-91. 87. Levy MJ, Topazian MD, Wiersema MJ, et al . Initial evaluation of the efficacy and safety of endoscopic ultrasound-guided direct Ganglia neurolysis and block. Am J Gastroenterol 2008; 103: 98-103. 88. Bismuth H, Nakache R, Diamond T. Management strategies in resection for hilar cholangiocarcinoma. Ann Surg 1992; 215: 31-8. 89. Jarnagin WR, Fong Y, DeMatteo RP, et al . Staging, resectability, and outcome in 225 patients with hilar cholangiocarcinoma. Ann Surg 2001; 234: 507-17; discussion 17-9. 90. Deoliveira ML, Schulick RD, Nimura Y, et al . New staging system and a registry for perihilar cholangiocarcinoma. Hepatology 2011; 53: 1363-71. 91. Ruys AT, van Beem BE, Engelbrecht MR, et al . Radiological staging in patients with hilar cholangiocarcinoma: a systematic review and meta-analysis. Brit J Radiol 2012; 85: 1255-62. 92. 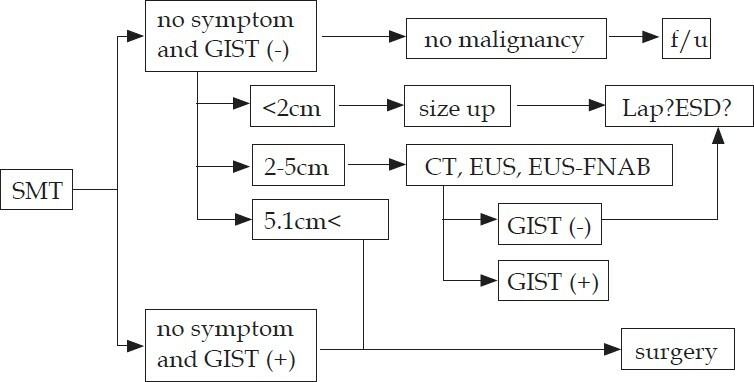 Masselli G, Gualdi G. Hilar cholangiocarcinoma: MRI/MRCP in staging and treatment planning. Abdom Imag 2008; 33: 444-51. 94. Mohamadnejad M, DeWitt JM, Sherman S, et al . Role of EUS for preoperative evaluation of cholangiocarcinoma: a large single-center experience. Gastrointest Endosc 2011; 73: 71-8. 95. Gleeson FC, Rajan E, Levy MJ, et al . EUS-guided FNA of regional lymph nodes in patients with unresectable hilar cholangiocarcinoma. Gastrointest Endosc 2008; 67: 438-43. 96. DeWitt J, Misra VL, Leblanc JK, et al . EUS-guided FNA of proximal biliary strictures after negative ERCP brush cytology results. Gastrointest Endosc 2006; 64: 325-33. 97. Tamada K, Ueno N, Tomiyama T, et al . Characterization of biliary strictures using intraductal ultrasonography: comparison with percutaneous cholangioscopic biopsy. Gastrointest Endosc 1998; 47: 341-9. 98. Menzel J, Poremba C, Dietl KH, et al . Preoperative diagnosis of bile duct strictures--comparison of intraductal ultrasonography with conventional endosonography. Scand J Gastroenterol 2000; 35: 77-82. 99. Domagk D, Wessling J, Reimer P, et al . Endoscopic retrograde cholangiopancreatography, intraductal ultrasonography, and magnetic resonance cholangiopancreatography in bile duct strictures: a prospective comparison of imaging diagnostics with histopathological correlation. Am J Gastroenterol 2004; 99: 1684-9. 100. Tamada K, Ido K, Ueno N, et al . Assessment of portal vein invasion by bile duct cancer using intraductal ultrasonography. Endoscopy 1995; 27: 573-8..
101. Tamada K, Ido K, Ueno N, et al . Assessment of hepatic artery invasion by bile duct cancer using intraductal ultrasonography. Endoscopy 1995; 27: 579-83. 102. Choi ER, Chung YH, Lee JK, et al . Preoperative evaluation of the longitudinal extent of borderline resectable hilar cholangio-carcinoma by intraductal ultrasonography. J Gastroenterol Hepatol 2011; 26: 1804-10. 103. Spaun GO, Zheng B, Martinec DV, et al . Bimanual coordination in natural orifice transluminal endoscopic surgery: comparing the conventional dual-channel endoscope, the R-Scope, and a novel direct-drive system. Gastrointest Endosc 2009; 69: e39-45. 104. Thompson CC, Ryou M, Soper NJ, et al . Evaluation of a manually driven, multitasking platform for complex endoluminal and natural orifce transluminal endoscopic surgery applications (with video). Gastrointest Endosc 2009; 70: 121-5. 105. Phee SJ, Low SC, Huynh VA, et al . Master and slave transluminal endoscopic robot (MASTER) for natural orifice transluminal endoscopic surgery (NOTES). Conference proceedings: Annual International Conference of the IEEE Engineering in Medicine and Biology Society IEEE Engineering in Medicine and Biology Society Conference. 2009; 1192-5. 106. Ho KY, Phee SJ, Shabbir A, et al . Endoscopic submucosal dissection of gastric lesions by using a Master and Slave Transluminal Endoscopic Robot (MASTER). Gastrointest Endosc 2010; 72: 593-9. 107. Phee SJ, Reddy N, Chiu PW, et al . Robot-assisted endoscopic submucosal dissection is effective in treating patients with early-stage gastric neoplasia. Clin Gastroenterol Hepatol 2012; 10: 1117-21. 108. Donatsky AM, Vilmann P, Meisner S, et al . Transgastric pure-NOTES peritoneoscopy and endoscopic ultrasonography for staging of gastrointestinal cancers: a survival and feasibility study. Surg Endosc 2012; 26: 1629-36. 109. Donatsky AM, Andersen L, Nielsen OL, et al . Pure natural orifce transluminal endoscopic surgery (NOTES) with ultrasonography-guided transgastric access and over-the-scope-clip closure: a porcine feasibility and survival study. Surg Endosc 2012; 26: 1952-62. 110. Voermans RP, van Berge Henegouwen MI, et al . Feasibility of transgastric and transcolonic natural orifice transluminal endoscopic surgery peritoneoscopy combined with intraperitoneal EUS. Gastrointest Endosc 2009; 69: e61-7. Epub 2009/06/02. 111. Saftoiu A, Bhutani MS, Vilmann P, et al . 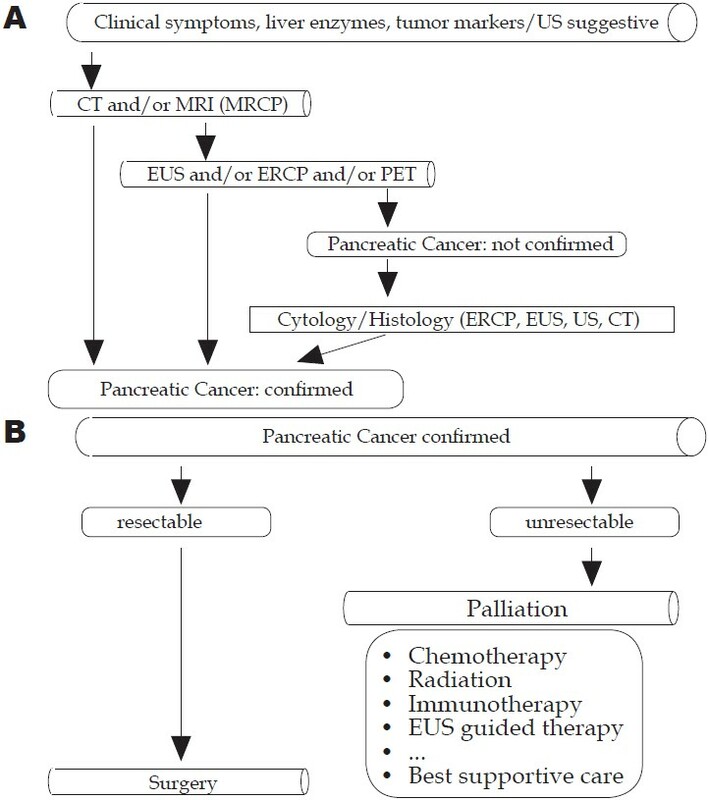 Feasibility Study of EUS-NOTES as a Novel Approach for Pancreatic Cancer Staging and Therapy: An International Collaborative Study. Hepato-gastroenterology 2012; 60(121). 112. Fritscher-Ravens A, Ghanbari A, Cuming T, et al . Comparative study of NOTES alone vs. EUS-guided NOTES procedures. Endoscopy 2008; 40: 925-30. 113. Elmunzer BJ, Schomisch SJ, Trunzo JA, et al . EUS in localizing safe alternate access sites for natural orifce transluminal endoscopic surgery: initial experience in a porcine model. Gastrointest Endosc 2009; 69: 108-14.